A Deputy Secretary of Labor under President Gerald Ford, Duberstein became an aide to Ronald Reagan for legislative issues in 1981, becoming Deputy Chief of Staff in 1987, then Reagan's final White House Chief of Staff, succeeding Howard Baker. He was later a political advisor to Senator John McCain. 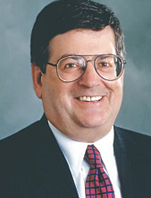 In addition to his advisorial capacity, Duberstein is Chairman and CEO of the influential lobbying firm Duberstein Group. Among their clients is Monsanto, for which they lobbied to remove the "Delaney Clause", a restriction on introducing known carcinogens into processed foods sold to consumers. Played by Mandy Patinkin in Strange Justice.